Earlier today one of our cats, Rommy, brought in a small rat. He's quite good at catching rats and mice but tends to take them up to my younger son's room and let them go there, alive. I heard a blood-curdling squealing and found this one trapped under the door, half in and half out of the room, with Rommy on the other side of the door just looking at it. Figuring that the rat would likely bite the hand that freed it I grabbed some tough gloves before dragging it out. It looked so sweet I didn't have the heart to hurt it (anyway it had probably been minding its own business outside, doing me no harm, when Rommy found it) so I let it go in some no-man's-land just beyond the bottom of the garden. Later I was just about to upload this picture of it when the cat brought in another rat (or maybe the same one?!) and let it go at the top of the stairs outside my son's room, again. I spent 20 minutes trying to catch it and get it out of the house (somewhere else this time)! 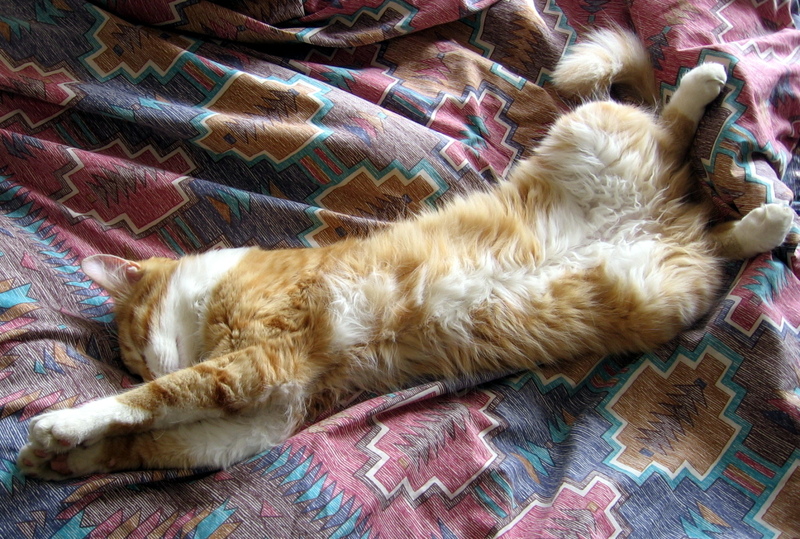 Our other cat – Simba, a pretty little boy-cat, little more than a kitten – used to go in for chasing moths and other flying things, leaping high into the air after them. When Rommy caught a mouse and was playing with it Simba would watch with a puzzled air, as though he really didn't see the attraction – moths and butterflies being much more fun!. 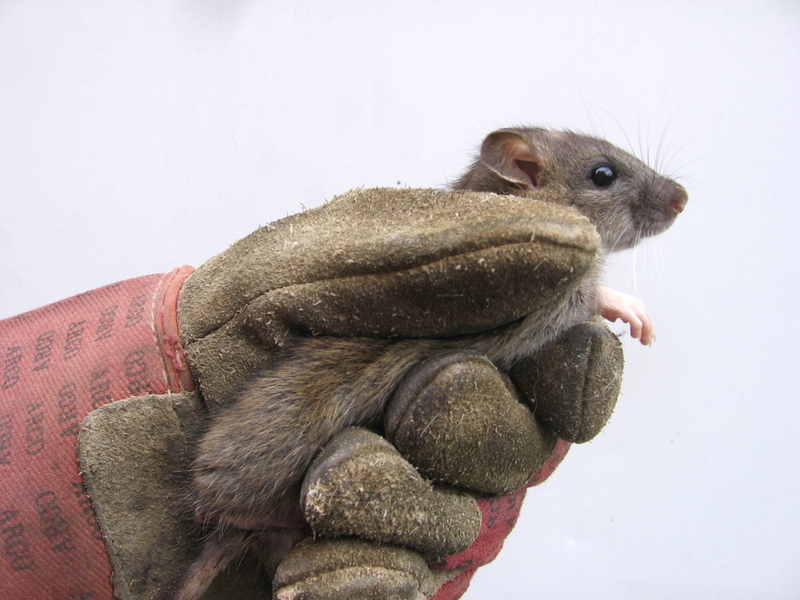 Then one day, out of the blue he brought in a huge rat, half his own size, and (thankfully!) dead as a doornail.